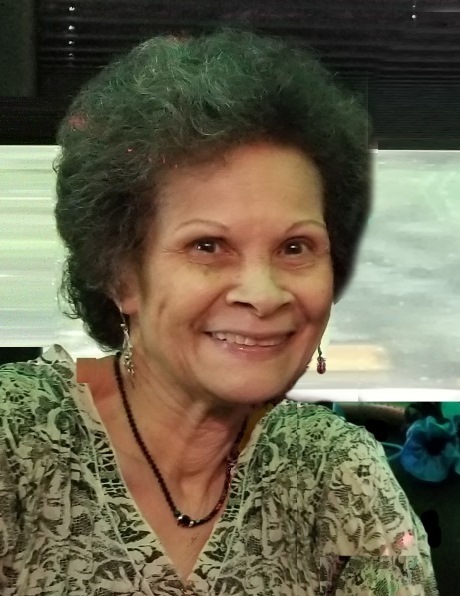 Nilda Ligia Ortiz, 73, Roselle, NJ died approximately 2:46 a.m., Sunday, August 19, 2018, in a three vehicle accident on the New Jersey Turnpike. Nilda was born October 13, 1944 in Vega Alta, Puerto Rico and moved to El Barrio/Spanish Harlem at age 5. She was the sixth of seven children of Ramon Ortiz and Marcelina Santana. She graduated from Mabel Dean Bacon Vocational High School in 1963 and from Pace University with her Associates Degree in 1979. She lived most of her life in the Bronx, Queens and Brooklyn until 1995, when her trade clearing job at Merrill Lynch, from which she retired, necessitated a move to New Jersey. She was a highly commended Army and National Guard Reservist who last served as Platoon Sergeant in Co F, 50th Main Support Battalion in Jersey City and was honorably discharged in 2004.She was full of life with a smile that lit up the room, and sassy with a heart too big for her body. She loved reading, watching murder mysteries, traveling, dancing and being among family and friends. Nilda is survived by her daughter Valarie Mulero-Beckford and son-in-law Jesus Beckford; three grandchildren: Brian Rivera, Gabriel Beckford and Viviana Beckford of NJ; her sister, Carmen Ortiz who lives in Texas; two brothers, Jose Ortiz residing in NYC and Leonardo Ortiz who lives in Puerto Rico; numerous nephews, nieces and great nephews and nieces. Relatives and friends are invited to attend a Celebration of Life on Sunday, August 26, 2018 2:00-5:00 pm at Krowicki McCracken Funeral Home, 2124 East St. George Avenue, Linden, NJ (908)352-9190. - Your local library. She loved to read! - An organization working to eradicate abuse against women, children or animals. She was passionate about this! - Doctors without Borders. Nilda greatly admired their mission. - Hero Homes. Building houses, jobs, and community for those who have served in the military. Better yet, make her a promise that you will spend a few extra minutes with friends or family in need, or say hello and start up a conversation with a total stranger and just keep smiling! Like she always said “It doesn’t cost you anything to be nice”.